Katasar Ghat is around 45 KM from Deogarh on the high way from Deogarh to Angul. It is under Kankarkhol reserved forest area. The place is surrounded by dense forest. 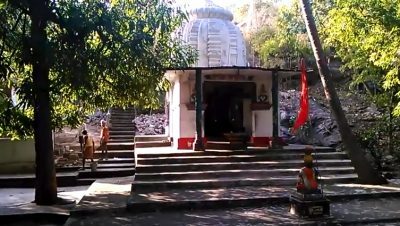 At the top of the ghat, there is a temple of Goddess “Banadurga” and temple of Lord Shiva. A natural stream is flowing inside the temple premises. The area is quite peaceful and attracts visitors for its spiritual atmosphere. While going towards Deogarh from Katasar Ghat, after 2 KM, there is a Sanatan Hindu Ashram. As it is in Rengalpali village, so named as Rengalpali Math. Flower gardens, vegetable grown by monks inside the Ashram premises is quite eye-catching. Nearest Railway Station - Rairakhol - 40 K.M. From Deogarh - 45 K.M.